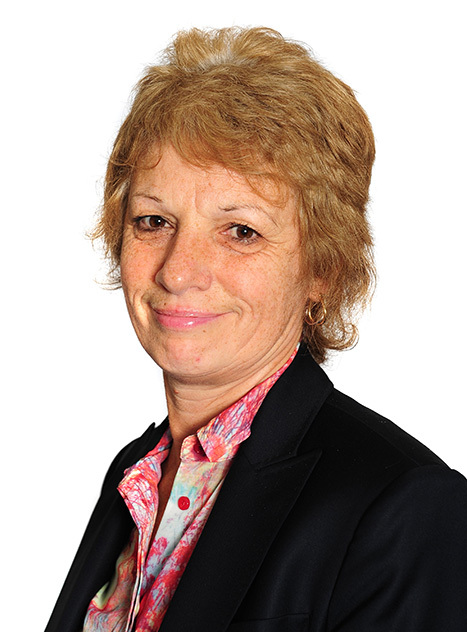 "Head of personal injury Jane Goulding specialises in high-value brain and spinal injury cases. Her recent work has involved RTAs and CICA claims." Jane is recognised as a lead in the field of personal injury lawyers by both Chambers publication and the Legal 500, in relation to catastrophic personal injury claims. She is based in Nottingham but regularly travels to all other offices. Jane has an outstanding reputation for dealing with complex/high value cases; particularly those with a brain injury or spinal cord injury element. She works extensively with children with brain injuries. Jane has been praised for her personal approach and for having a very good personal relationship with her clients and their families. Jane is recognised as an “Elite Leading Lawyer” in Personal Injury and Clinical Negligence by The Legal 500 (2019 Edition) and is ranked in Chambers (2019 Edition) as a Leading Individual. Jane acted on a case where the claimant was seriously injured in a road traffic accident. There were complexities with regard to the accident circumstances, but eventually judgement was obtained against the defendant. Interim payments were obtained on a regular basis either voluntarily or by Court Order to enable a rehabilitation programme to be put in place to assist the claimant to assist him moving from residential accommodation into his own property, with a full care package, aids and equipments. This resulted in a final settlement in the case of £5 million (before the change in discount rate). Jane acted on a case where the file was transferred from another firm of solicitors, as the family had lost faith and trust in them. Her client had sustained serious brain injury as a result of an accident with a child. The previous firm had obtained a huge number of interim payments – so much that it was difficult to persuade the defendants to pay further interim payments which made obtaining rehab for this claimant difficult. In addition, the previous solicitors had not obtained essential expert evidence that was needed to properly value the claim. Further experts had to be instructed at short notice in order to update the evidence and ensure all appropriate evidence was before the Court. A huge amount of work had to be done in a very short period of time, resulting in a total settlement of £8 million (before the change in discount rate). Jane dealt with a serious brain injury case for an adult client. He had previously been with other solicitors; they had conducted the case in a very unsatisfactory way so much so the Judge had to actually intervene. Jane was appointed and within a number of months, appropriate evidence was obtained and proceedings were issued. The case promptly proceeded to a liability-only trial, with liability being agreed just before the trial. Moving on to deal with quantum, full expert evidence was obtained and a full rehabilitation team appointed who worked closely and well with the claimant. As a result of this he managed to move from a care home to independent living with a full rehab and support team. The total settlement was £2.5 million (before the change in discount rate). Jane worked for a claimant who has suffered devastating brain injury, who was previously with other solicitors. The family lost faith and trust in the previous solicitors. Jane worked closely with the family to build up their trust, arranging to obtain all relevant evidence. She also insured a full rehab team was in place to support the claimant and the case eventually settled in the sum of £8.5 million (before the change in discount rate).